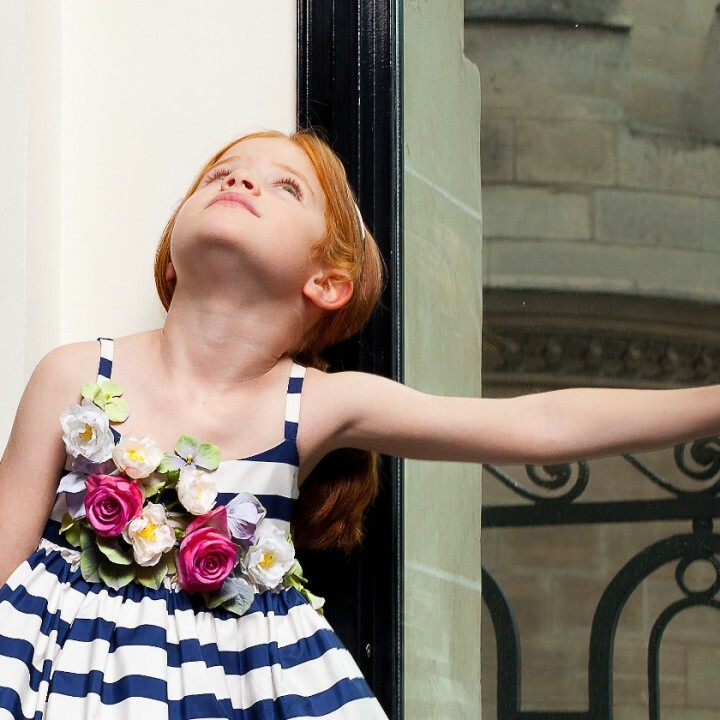 It seems like yesterday that, with the enthusiasm of a child, we announced we had eventually made it into Pitti Bimbo and we were getting ready for our first trip to the fair in Florence. Instead, six months have passed and it is now with the same enthusiasm that we are preparing for the 79th edition which runs from the 26th to the 28th of June. The trade fair’s numbers are simply impressive: 415 expected collections, of which 180 from abroad, over 5,800 buyers and a total of just under 10.000 visitors at the last summer edition. 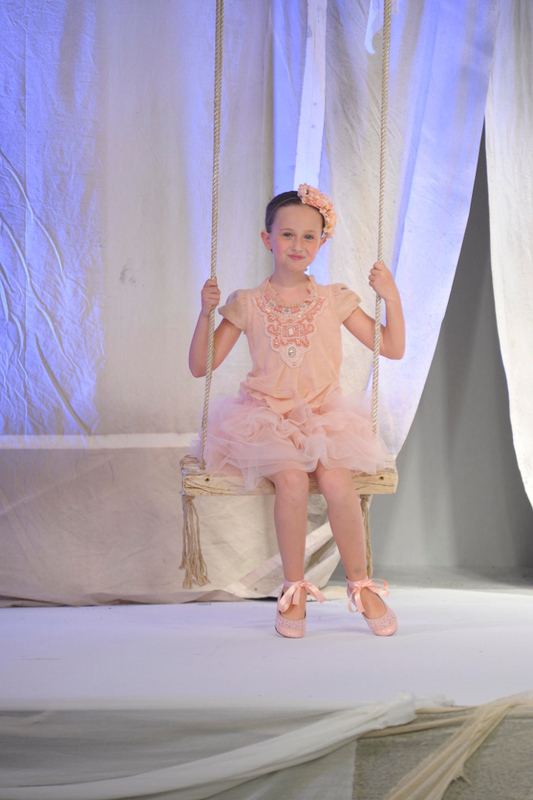 This confirms that Pitti Bimbo is the only trade fair in the world that presents a complete overview of the universe of children’s fashion on a global level as well as an extraordinary platform for presenting new lifestyle trends for kids, where the focus on research is an increasingly important element. Once again, a week before the fair, we will publish some sneak previews of spring summer 2015 and we will feature the new names and the special projects of this edition which include: Michael Kors, Little Marc Jacobs, Chloé, Kenzo, Timberland, Stuart Weitzman, Invicta, Department 5, Dolfie, Emile, and Ida. Not to mention one of the most expected events, the debut of Kid’s Evolution, the new project realized by Pitti Immagine in collaboration with Vogue Bambini. 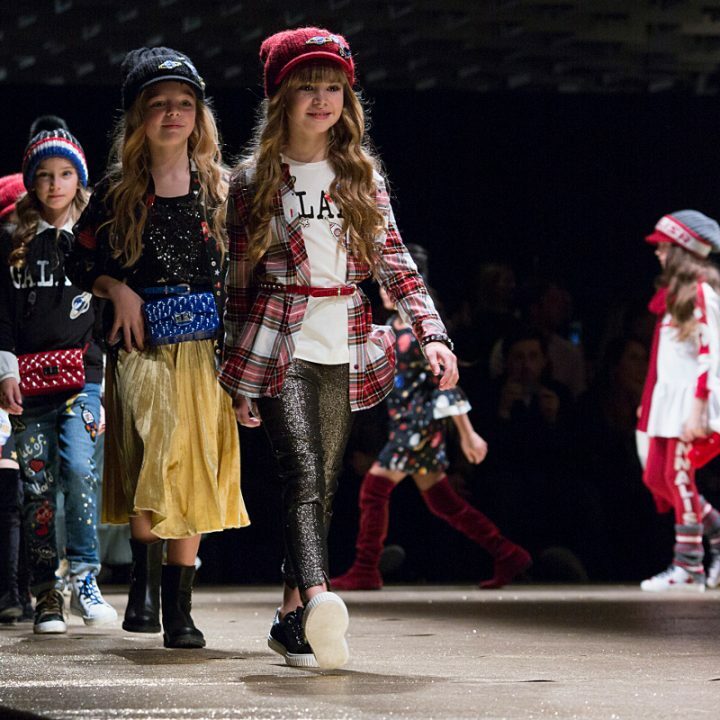 But Pitti Bimbo is also an amazing fashion week event, and it encompasses runway shows from brands such as: Miss Blumarine, Children’s Fashion from Spain, Miss Grant, Grant Garçon, L:ù L:ù, Fun & Fun, Il Gufo, Parrot Italy, and Monnalisa. We have selected the pictures of the spring summer 2014 edition with the highest number of like on our Pinterest board, and added the ones that we liked the most. Sembra ieri che, con l’entusiasmo di un bambino, vi abbiamo annunciato che alla fine ce l’avevamo fatta ad entrare al Pitti Bimbo e ci stavamo preparando per il nostro primo viaggio verso la fiera di Firenze. Invece, sono passati sei mesi ed è con lo stesso entusiasmo che ora ci stiamo preparando per la 79ª edizione che si svolgerà tra il 26 e il 28 giugno. I numeri della fiera sono semplicemente impressionanti: 415 collezioni attese, di cui 180 provenienti dall’estero, oltre 5.800 compratori ed un totale di poco meno di 10.000 visitatori all’ultima edizione estiva. Questo conferma che Pitti Bimbo è l’unico salone al mondo a dare una rappresentazione completa dell’universo della moda bimbo a livello globale, ma anche una piattaforma di riferimento per presentare le nuove tendenze del lifestyle per i bambini, dove il focus sulla ricerca è un elemento sempre più importante. Anche in questa occasione, nella settimana che precede la fiera pubblicheremo alcuni anteprima della primavera estate 2015 e vi racconteremo dei nuovi nomi e dei progetti speciali di questa edizione tra cui: Michael Kors, Little Marc Jacobs, Chloé, Kenzo, Timberland, Stuart Weitzman, Invicta, Department 5, Dolfie, Emile e Ida. Per non parlare di uno degli eventi più attesi, il debutto di Kid’s Evolution, il nuovo progetto realizzato da Pitti Immagine in collaborazione con Vogue Bambini. Ma Pitti è anche una straordinaria settimana della moda e comprende sfilate di marchi come: Miss Blumarine, Children’s Fashion from Spain, Miss Grant, Grant Garçon, L: ù L: ù, Fun & Fun, Il Gufo, Parrot Italy e Monnalisa. Abbiamo selezionato le immagini della edizione primavera estate 2014, che hanno ricevuto il maggior numero di mi piace su nostro board Pinterest e abbiamo aggiunto quelli che ci sono piaciuti di più. Pitti Bimbo, spring summer 2014. 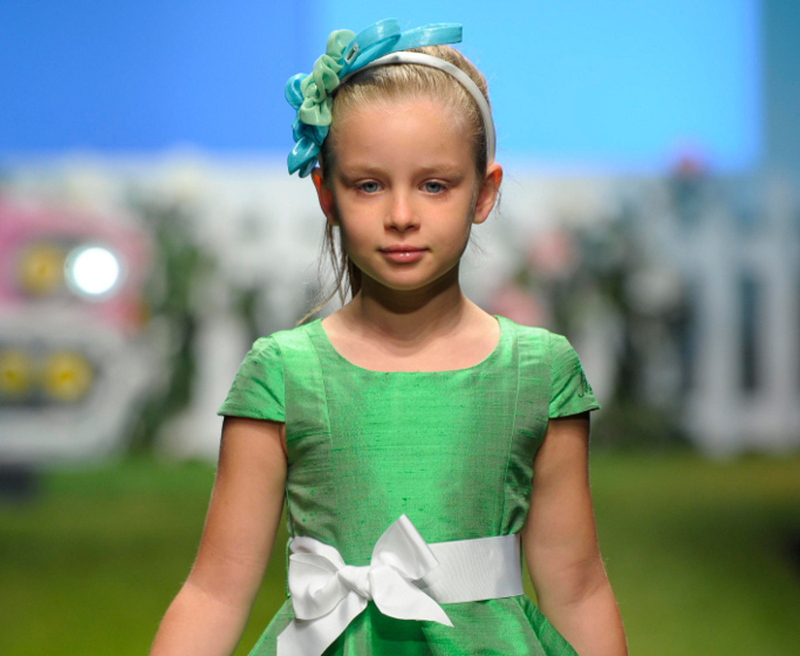 Miss Blumarine green silk dress with a white bow and a tulle petticoat. 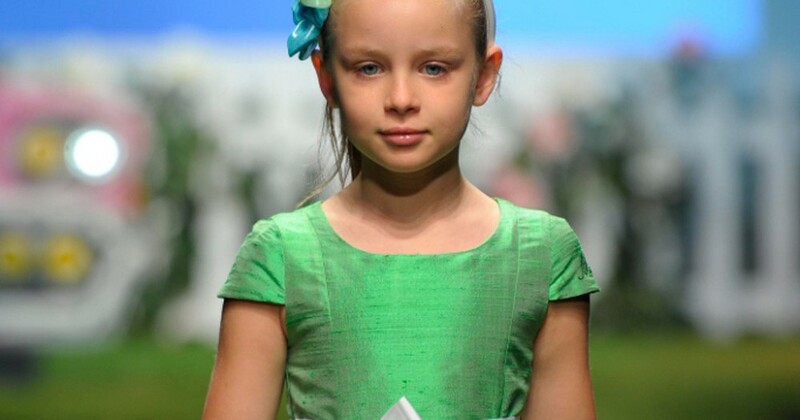 Pitti Bimbo, spring summer 2014, Miss Blumarine catwalk. 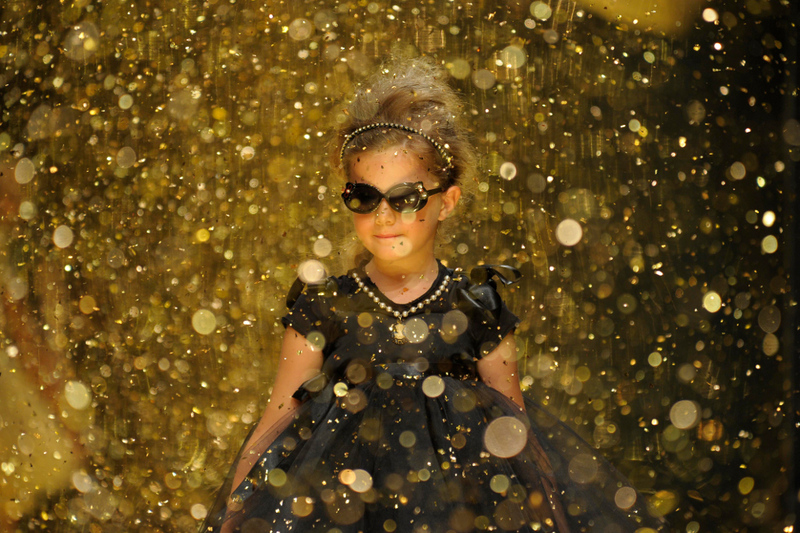 Pitti Bimbo, spring summer 2014. Il Gufo white dress with blue trims and jersey dress with blue and white stripes. Pitti Bimbo, spring summer 2014, Il Gufo catwalk. 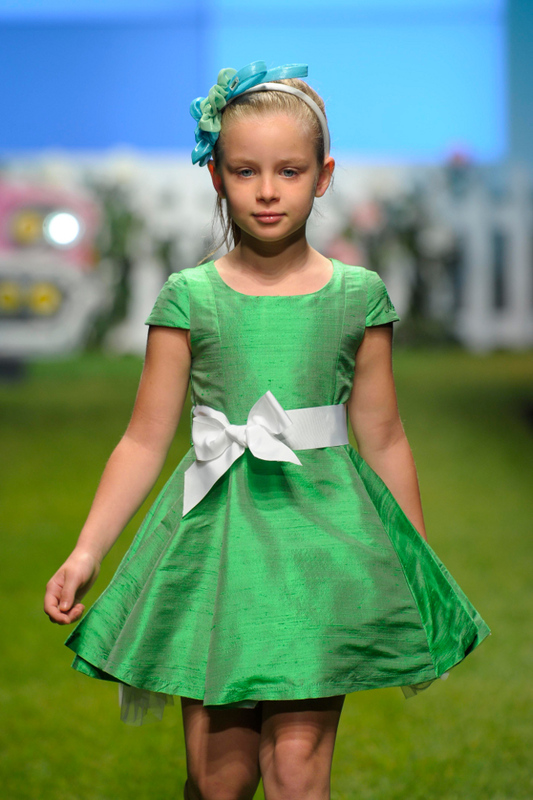 Pitti Bimbo, spring summer 2014, Miss Grant catwalk. Pitti Bimbo, spring summer 2014, Quis Quis catwalk. Pitti Bimbo, spring summer 2014. Twin Set Simona Barbieri, girl pink dress with lace. 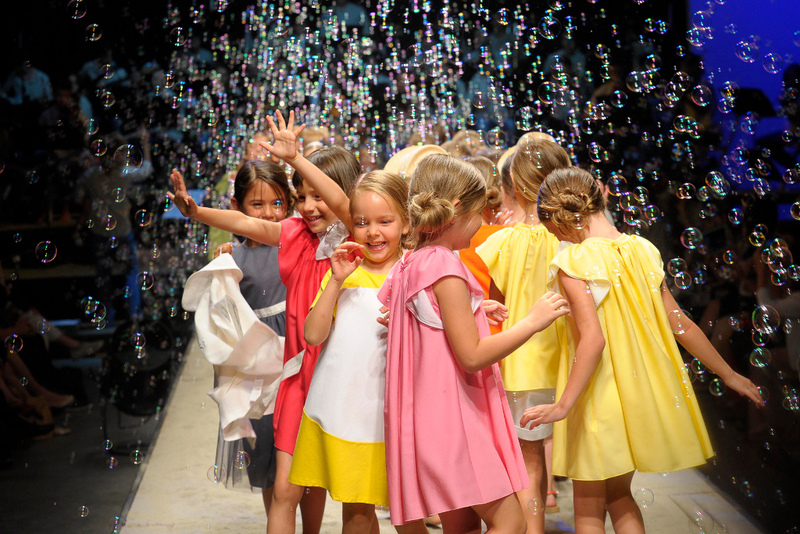 Pitti Bimbo, spring summer 2014, Twin Set girl catwalk.